Burger King celebrates Hanukkah in Israel with the introduction of the new, limited time SufganiKing, which is basically a donut Whopper. According to Ynetnews, sufganiyah is the Hebrew word for donut, so roughly translated, the new burger is really the "DoKing." Specifically, sufganiyah are round jelly-filled donuts that are popular during Hannukah. For the SufganiKing, however, the donuts are filled with ketchup. 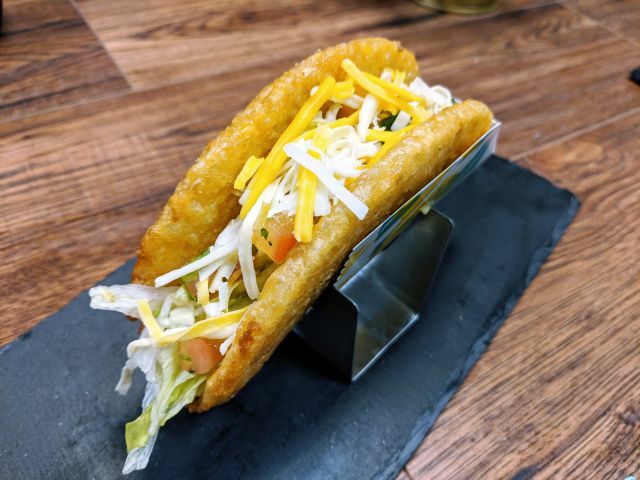 Beyond the donut buns, the SufganiKing contains everything you might expect in your typical Whopper: a flame-grilled beef patty, mayo, ketchup, pickles, onion, tomato, and lettuce. 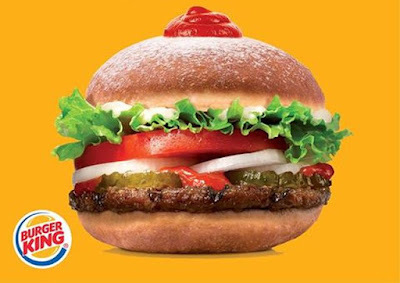 It'll be available at Burger King locations throughout Israel with the start on Hanukkah (December 25, 2016) through January 1, 2016 (the end of Hanukkah this year). Photo via Burger King Israel.